As Civil Society Organisations (small-scale farmers, pastoralists, fishers, Indigenous People, agricultural and food workers, consumers, women, youth and NGOs) from across different regions, we are rights holders and active members of the food system. Through our collective efforts, we work to guarantee the right to adequate food. We urge States in our Region to be coherent and supportive in their policy-making. The 2030 Sustainable Development Agenda is fast approaching. Despite the fact that the SDGs are not as ambitious as we would like, and have a number of limitations, we are convinced that it will be impossible to achieve them without a drastic paradigm shift towards Food Sovereignty. 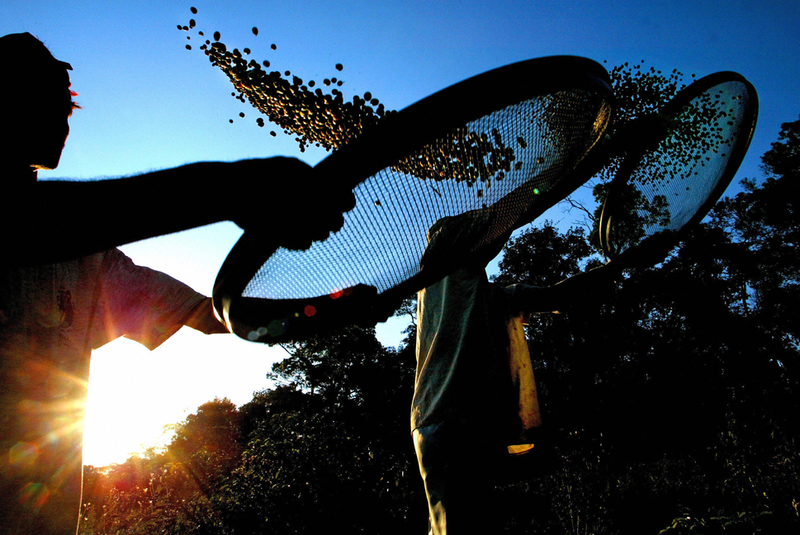 This paradigm shift starts with the implementation of existing human-rights based instruments that civil society organisations, such as the Voluntary Guidelines on the Right to Adequate Food, the Voluntary Guidelines on the Governance of Tenure (VGGT), the International Guidelines for Securing Sustainable Small-Scale Fisheries (SSF Guidelines), the UN Convention on the Protection for Migrant workers and members of their families, as well as many of the policies that the Committee on World Food Security and Nutrition (CFS) have agreed upon. We are also optimistic that the Human Rights Council will vote to adopt the United Nations declaration on the rights of peasants and other people working in rural areas. We need implementation and monitoring!!! And we need it now! The FAO and some States have finally recognised that agroecology, which many communities of small-scale food producers from across the world already practice, is the holistic approach necessary for nutritious food production and healthy food consumption. Our knowledge, territories (including both land and water), communities, organisations as well as our capacity to be increasingly less dependent on external inputs are the pillars of agroecology. Our agroecological practices in all food producing sectors (pastoralism, fisheries, forestry and agriculture) constitute real and on-going innovation all over the world. We small-scale food producers have the solutions to stop global warming and combat climate change. We are the guarantors for the future of our planet and humanity. We strongly believe that through agroecology we can ensure that the Commons are not commodified and that everyone has access to food and social justice. The Commons are key to the preservation of our environment and to providing opportunities for youth. Agroecology is also important to draw attention to women’s rights and ensure respect for women. We will not tolerate the use of agroecology for narrow, private interests, green and/or blue-washing. New technologies present opportunities and challenges for all. E-agriculture is not an innovation per se, as agroecological systems already have appropriate scale technology across food systems. We are all feeling the effects of the incredible concentration of power in the E/web economy. A handful of companies are monopolising the entire sector, controlling and commercialising data in a way that violates peoples’ fundamental rights. Today e-agriculture is presented as the new green revolution. However, there are insufficient controls on the regulation and ownership of data, on the impacts of the concentration of the food sector and the consequences of the States’ obligations to uphold their citizen’s right to food. Therefore, we will only use e-agriculture/digital technologies in the specific ways that we believe can support our model of production. We will not allow e-agriculture to become a new tool to privatise our knowledge, make us more dependent, make us redundant, and ultimately replace us with robots in the future! The adoption of the UN Declaration on the Rights of Peasants and Other People Living in Rural Areas that will strengthen and build on the existing rights of rural people and that will have recognition within the international human rights framework. The full implementation of Women’s Rights. Women’s rights are still under attack in this Region, and we call on States to clearly support and implement active policies to fully uphold these rights according to CEDAW guidelines, These guidelines support equality between men and women in their access to productive and economic resources and active participation in government and institutional decision-making processes. The full implementation of Decent Work. SDG 8 aims to provide decent work for all. There is still a deficit in decent work in agriculture. Labour laws in the Region are becoming increasingly weak, and exclude agricultural workers from labour laws and social protection schemes. Despite the existing international treaty that affirms migrant workers’ rights, there is persistent trafficking and discrimination against migrant workers who are forced to work in hazardous and isolated conditions and who are often victims of forced labour. An end to the mass administration of antibiotics to livestock and poultry. Intensive animal production for food has resulted in the development of antibiotic resistant strains of many highly dangerous bacteria. UN agencies have highlighted the serious threat that AMR poses to people across the world. If no action is taken, there is an increasing risk that millions of people will die due to antibiotic resistant bacteria by 2050. Ensure full and equal access to adequate and nutritious food (which is a universal, basic human right) through an inclusive process which works alongside agencies, lcoal and national government, agroecological producers, CSOs and other social justice actors. It should ensure justice in food systems through fair production, distribution that guarantess fair prices to producers and affordable prices for consumers in order to reduce conflict and exploitation and recognise the structural factors which create injustice and malnutrition in the Region. States consider the Decade of Family Farming and the Decade of Nutrition as a unique opportunity for policy coherence and governmental commitment. This commitment is based on human rights obligations and is not a mere formality! These two Decades must be considered as a real opportunity to ensure policies and public investments that benefit and support small-scale producers and family-owned farms across the region. Small-scale food producers are the only way to ensure agroecology which guarantees the right to adequate and nutritious food is truly implemented . We welcome and express our further engagement in the FAO’s decentralisation process. Small-scale food producer organisations and other CSOs must play a central role in this process. We declare our willingness to be the main actor in all the stages of implementation of the three regional initiatives. We hope to continue improving our partnership with the FAO in this region, increasing our political impact and strengthening our role in decision-making processes. We call on the FAO to commit to do more to uphold the right to adequate food and nutrition. Future activities that strengthen sustainable agriculture and fisheries should build on the interesting discussions and productive outcomes of the 2nd International Symposium on Agroecology. Agroecology is the key to the necessary change in our food systems. We welcome the FAO’s continued commitment to agroecology. We commit to supporting the building of the FAO’s internal capacity to support agroecology as a science, a practice and a social movement. Furthermore, we commit to the development of indicators to monitor the impacts of agroecology with civil society as well as the creation of an internal mechanism to enhance inter-departmental and inter-regional collaboration in agroecology and the development of a public funding system to continue to strengthen the joint work of the FAO and civil society. 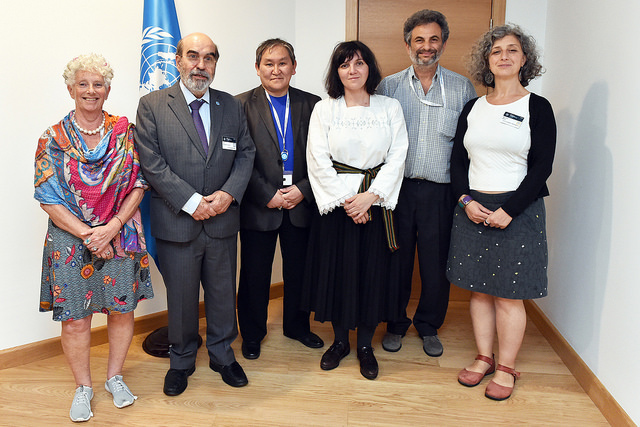 We invite the FAO to foster the support provided to its Member States and to civil society, through its development of policy and legal frameworks that promote and support agroecology and sustainable food systems. Encourage the involvement of small-scale food producer organisations and other CSOs in scaling up the agroecology initiative. Focus the implementation of its three regional initiatives on activities that strengthen agroecology in its economic, environmental and social capacity at local, national, regional and international level. Develop projects and programmes that improve small-scale food producers’ access to local markets, which is a key part of sustainable agriculture and fisheries. Support the exchange and spread of traditional sustainable agricultural and fishing practices among small-scale food producers, with a specific focus on pastoralists and Indigenous People. Prioritise, acknowledge and support small-scale food producers’ investments when developing programmes and projects related to sustainable agricultural investment. Carry out an assessment of the on-going initiatives in alliance with technological sovereignty initiatives. Propose a regulatory framework that prevents any privatisation of data. Support the precautionary principles in all policy recommendations on the implementation of e-agriculture. Make all relevant documents available and support the translation of the most relevant documents into different national languages. Facilitate exchanges between food producers. Facilitate exchanges between food producers and consumers to ensure greater food justice. Support monitoring activities to uphold the right to food and nutrition, including at the relevant human rights bodies and the CFS. Support CSOs in monitoring the implementation of the VGGT, SSF Guidelines and other relevant international guidelines. Actively engage with CSOs in all stages of implementation and monitoring of the regional initiatives, including their design. Ensure that the CAP, the Common Fisheries Policy (CFP) and national food and agriculture policies adhere to human rights and subsequent policies and guidelines. Ensure that they also respect all agricultural and food workers’ rights according to fundamental work rights. Recognise the multidisciplinary nature of food and agriculture policies based on the human right to adequate food. States should create national and municipal/local food policy councils as well as laws that uphold the right to adequate food. Support and give priority to small-scale fisheries in their direct sales. Support them become more visible in policies. Ensure and protect the rights of access of small-scale artisanal fishers to their traditional fishing grounds and ensure their interests are equally included in governance. Promote community-based fishery resource management. Validate and recognise traditional knowledge and the role of women in fisheries. Protect and promote small-scale fisheries through the implementation of the International Guidelines on Securing Sustainable Small-Scale Fisheries. Small-scale fisheries have a low impact on the environment and provide high quality, nutritious food and are a means of securing thes livelihoods of local populations. Halt infrastructure developments, including large-scale aquaculture, port constructions, oil and gas projects and sea-bed mining, which are known to have damaging effects on the natural environment and prevent the implementation of SDG 14. Phase out destructive fishing practices, including technologically advanced fish location, and stop all privatisation of fisheries resources. Carry out periodical national monitoring activities that assess the implementation of standards related to the right to food, such as those that the Committee on World Food Security carries out. Prioritise the involvement of rights holders over third party actors such as private sector actors, in decision-making and monitoring processes and recognise the crucial distinction between rights holders and stakeholders. Implement a regulatory approach to data, based on human dignity and human rights. Work with independent small-scale technology experts who support data management sovereignty and control. Implement policies through the decade of family farming that genuinely prioritise small-scale food producers, family farming, fisheries and food justice in the distribution of agroecologically produced food. Reconsider the legal framework for smallholder and family farming and fisheries’ activities. Promote the creation of national legal status for the promotion and support of family farming and end the criminalisation of traditional practice and food systems. Support agroecology as the primary model of production, including though research and innovation that recognises the importance of food producers’ knowledge. Ban the use of Glyphosate and all synthetic pesticides and fertilizers that are harmful to health, land, soil and water. Adopt the UN Declaration on the Rights of Peasants and other people living in rural areas. Actively support the adoption of the UN Treaty on transnational corporations and human rights. 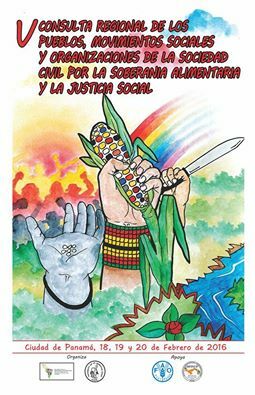 Stop the negotiation of free trade agreements that are an obstacle to Food Sovereignty, family farming and the right to adequate food. Improve public services for rural populations. We urge governments to ban the mass administration of antibiotics to livestock and farmed fish (aquaculture) and call on governments to recognise the transmission of drug-resistant pathogens as work-related diseases. Ensure all agricultural, fishing and food workers have their right to join independent trade unions and partake in collective bargaining upheld without being criminalised. We call on governments to reduce carbon emissions in industries and ensure sustainable livelihoods and employment. Implement active policies that ensure decent livelihoods for all young people in rural areas, encourage food, agricultural and fishing production, as well as decent employment and infrastructure in rural areas. Respect, protect and promote Indigenous People’s rights to land and natural resources, including their traditional ecological knowledge, practices and innovations. Implement and promote Voluntary Guidelines on the Governance of Tenure (VGTT) as well as the International Guidelines Securing Sustainable Small-Scale Fisheries (SSF Guidelines) at national and local level, based on the States’ human rights obligations. We call on States to uphold the right to water and recognise the vital importance of access to water for small-scale food and agricultural producers. Water, as part of the Commons, should be managed by public bodies and protected from commodification and privatisation. Promote the decentralised governance of food production and agriculture with the full participation of rights-holders, including consumers. Promote active policies for universal access to nutritious food, including through the extension of land access rights and the offer of training to urban marginalised groups. Protect and promote local markets as public utility services, including short and direct food supply chains and public procurement that favour produce from small-scale local food producers. We should do this while bearing in mind the recommendations on ‘Connecting Smallholders to Markets’ adopted by the Committee on World Food Security (CFS). Ban zero hours employment contracts that cause workers and their families to suffer malnutrition and poverty. We urge States to take responsibility for stopping armed conflict and creating peace in the Region and neighbouring States of the Region, so that people are not forced to leave their land or become migrant workers. Guarantee a concerted and intentional response to the rising xenophobia and racism affecting large groups of migrant food and agricultural workers, urban migrant communities, young people and women. Create public policies that respect and promote rural women’s rights to access productive and economic resources (especially land, seeds, loans and housing). Design appropriate instruments that draw attention to rural women’s central role as food producers and seed keepers.